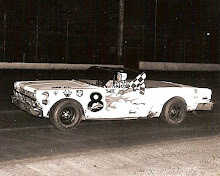 Des Moines, Iowa (October 2, 1971) - Fred Horn of Marion, Iowa had some luck on his side Saturday night, winning the 50-lap late model stock car feature at the Iowa State Fairgrounds over Irv Janey of Cedar Rapids, Iowa and Ernie Derr of Keokuk, Iowa. Actually, all three could count their blessings in the wild affair in which 33 cars started three abreast. A crowd of 6,019 watched the season finale. Horn, who was the season point champion at Farley, didn't take the lead until the 39th lap. Then the former International Motor Contest Association star had to hold off two present IMCA standouts, Janey and Derr, to capture the $600 first prize. “I got a break coining out of the fourth turn when I took the lead,” Horn said. The leader at that point, Jim Wyman of Oakland, Iowa got caught in traffic and Horn, with Janey right behind, went to the inside. Horn, in a 1970 Plymouth Roadrunner, then managed to hold off Janey's '70 Roadrunner. 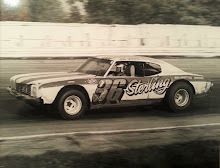 Derr, the12-time IMCA national champ driving a 1970 Dodge Charger, didn't get into third spot until the 48th lap, when he went around Wyman. Janey received $400 and Derr $300. Horn had started on the outside of the ninth row. Derr, in the middle of the seventh row at the start, was caught in a jam and dropped to the rear of the pack before the first lap was completed. 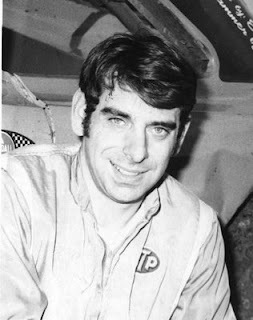 Wyman, driving a 1971 Mustang, had qualified for the pole position with a 26.50 second clocking in time trials. He took the initial lead. Stan Stover of Reinbeck, Iowa, the season late model champ at the Fairgrounds, passed Wyman on the lap 15 and quickly pulled away. 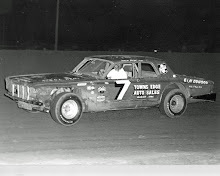 It appeared he would be the winner, but he was involved in a collision with Wayne Meyer of Algona on lap 27 and was sidelined with tire and front end problems. 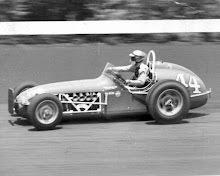 Wyman was back in the lead then and before the cars could be given a restart, second-place Joe Merryfield also was sidelined when he and Bill Carter of Des Moines collided. That mishap was caused when cars in front of them slowed - Merryfield and Carter was unable to stop in time. 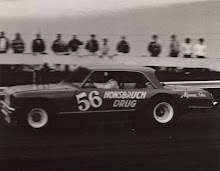 Fans felt flagman Johnny Beauchamp may have been partly to blame. Wyman led until Horn assumed command.